Some of you know the answers to these burning questions, but not everyone does! So please allow us to enlighten you! It’s pronounced “La Cahge o Fol” — Say it with a FRENCH ACCENT! It’s FUN! 😉 And when you come to the show, get ready to laugh like crazy! REMEMBER THE MOVIE “THE BIRDCAGE”, WITH ROBIN WILLIAMS AND NATHAN LANE? That hysterically funny movie is the film version of “La Cage”! It’s an uplifting musical about the love of family that celebrates being proud of who you are. The show focuses on Georges and Albin, two men partnered for-better-or-worse. After 20 years of unwedded bliss Georges’ son (fathered during a one-night fling) announces his impending marriage to the daughter of a bigoted, right wing politician. Further complicating the situation is the ‘family business’ — Albin and Georges run a transvestite nightclub in St. Tropez, where Albin is the “star” performer ‘Zaza’. Georges reluctantly agrees to masquerade as “normal” when he meets the family of the bride-to-be. But Albin has other plans, with hilarious results! 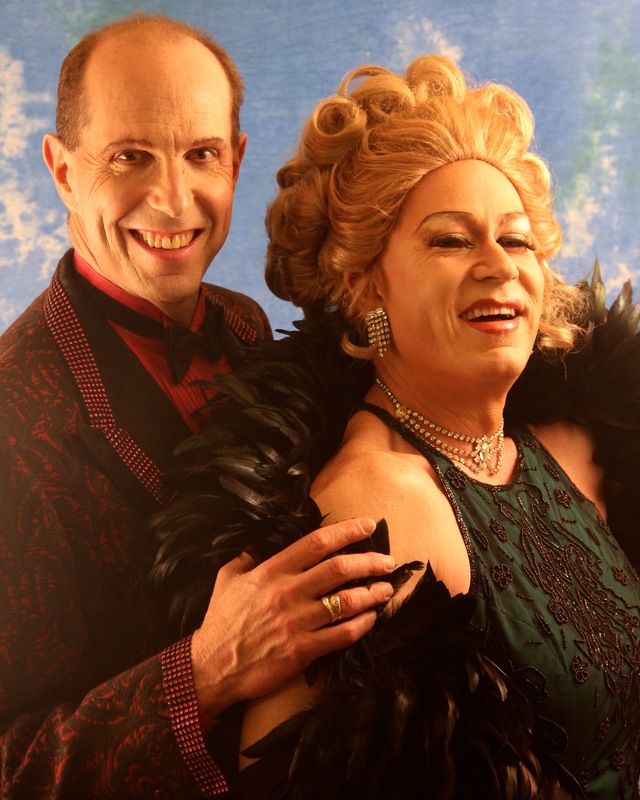 ← “LA CAGE AUX FOLLES” OPENS NEXT FRIDAY!! !